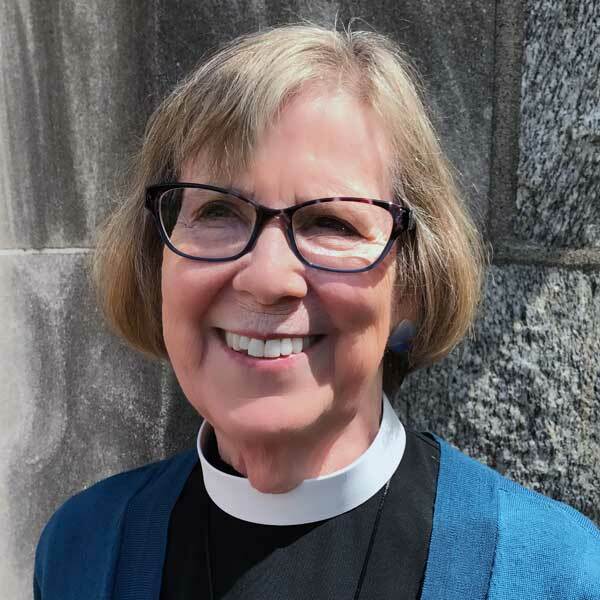 The Rev Sue Crommelin serves at Christ and St. Luke’s as adjunct/assisting clergy. She served at Trinity Episcopal Church in Portsmouth and Eastern Shore Chapel in Virginia Beach before retiring and returning to her home parish. She has no real hometown since she is a Navy Junior, born in San Diego, who grew up in Alexandria, VA, Cuba, Newport, RI, Boston and Honolulu. She is a graduate of Wellesley College, University of Houston Graduate School of Social Work, the Interregional Society of Jungian Analysts, and the RUAH School of Spiritual Guidance at Richmond Hill, Richmond, VA where she also served on faculty for several years. She earned her MDiv at Episcopal Divinity School in Cambridge, MA where she also became close to the brothers at St. John the Evangelist Monastery. While slowly closing down her therapy practice, Sue continues to see many in spiritual direction in an icon-filled room that St. Andrews Episcopal Church in W Ghent has provided for almost 10 years. She and her husband, Paul Dell, PhD have been long time Ghent residents. Their children live in Virginia Beach (where there are two grandsons), Houston (two more grand children), Manhattan, and San Francisco.